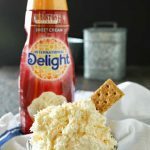 Cinnamon Cheesecake Dip is a great no-bake dessert dip recipe that is ready in less than 5 minutes. Just another great recipe using creamer & pudding mix to add to your parties or just a light after dinner treat. I sure do love easy desserts. Seems these days there’s not a whole lot of time to make goodies, but I still love to have a little something after dinner each night. Things that allow me to have just a couple bites before I walk away are best. This way I’m not committed to something like a whole piece of cake or bowl if ice cream. Things like an easy dessert dip are perfect for this. I can whip it together in a couple minutes, let it chill while we have dinner & then I can enjoy a couple bites with little guilt later. 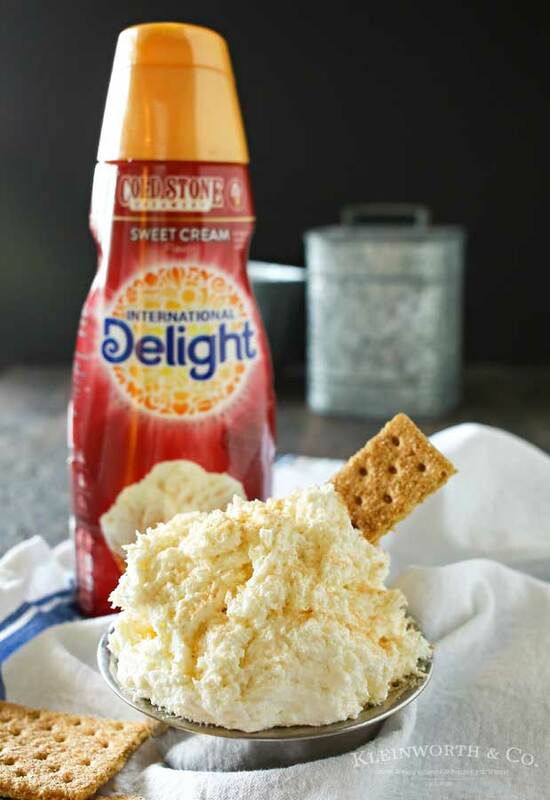 The thing I love about this one is that I used my favorite Sweet Cream coffee creamer from International Delight. It added just the perfect sweet cream flavor to this already delicious recipe. My son, the biggest cinnamon lover in this house, was in pure heaven. 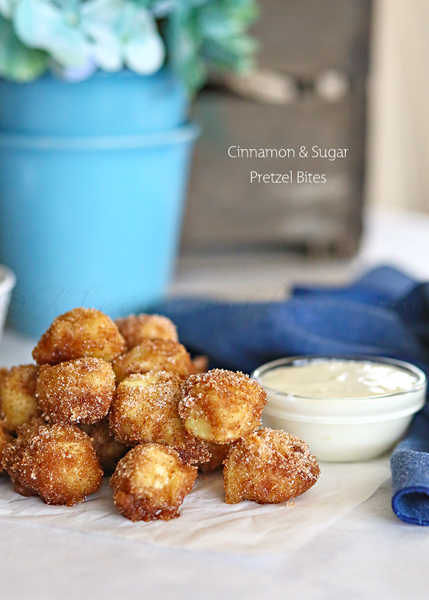 We used cinnamon graham crackers to dip in & oh my goodness- it was so good. Definitely the perfect dessert after a great meal. I love putting this out at parties because it never lasts long. In fact, a lot of times I find my guests hovering around the snack table so they can keep grabbing one bite after another. If you love cinnamon & cheesecake- this is definitely the dessert flavor combo for you, with a whole lot less work than a regular cheesecake. For me- cinnamon, cheesecake & sweet cream are just HEAVEN! 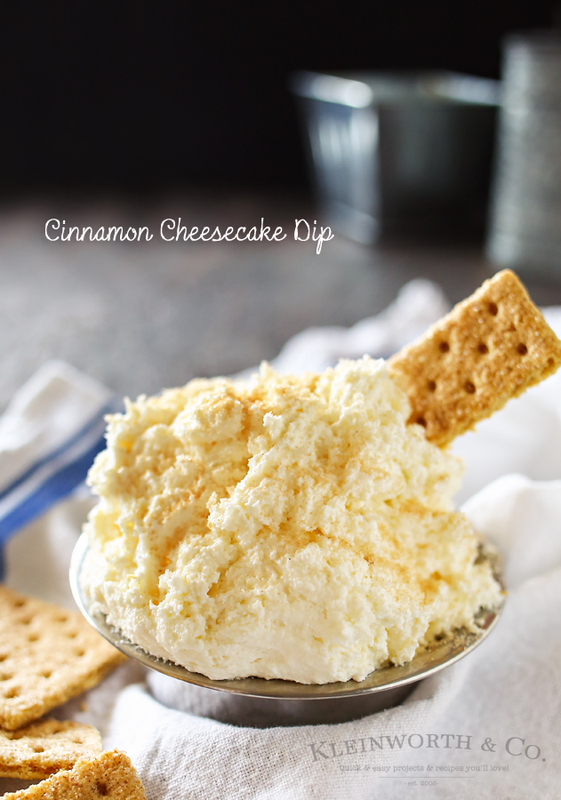 Cinnamon Cheesecake Dip- a simple no-bake recipe for those who love cinnamon & cheesecake! Bottom line- you really have to make this! 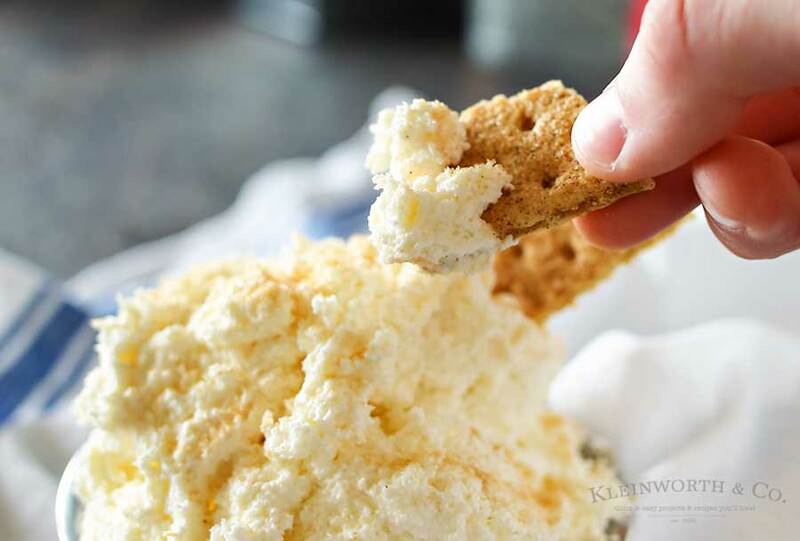 Dip cookies, crackers, fruit – anything you like in this cinnamon cheesecake dip! 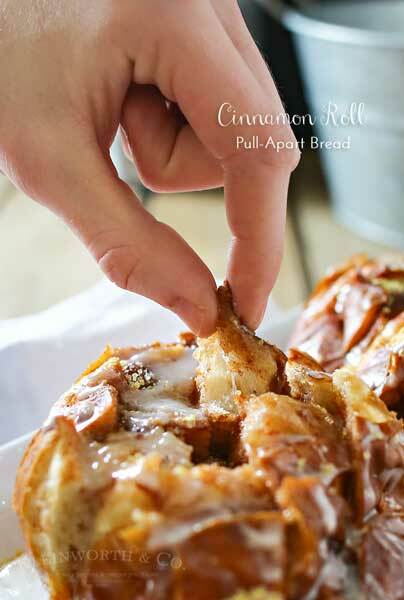 Looking for more of our favorite cinnamon recipes? I love sweet dips like this for parties and I bet this flavor combo is amazing!! IT’S SO FLUFFY I’M GONNA DIE! Seriously, this looks incredible. And what a perfect afternoon treat! Can’t wait to see my kiddos go crazy over this- if, that is, I don’t eat it all first!